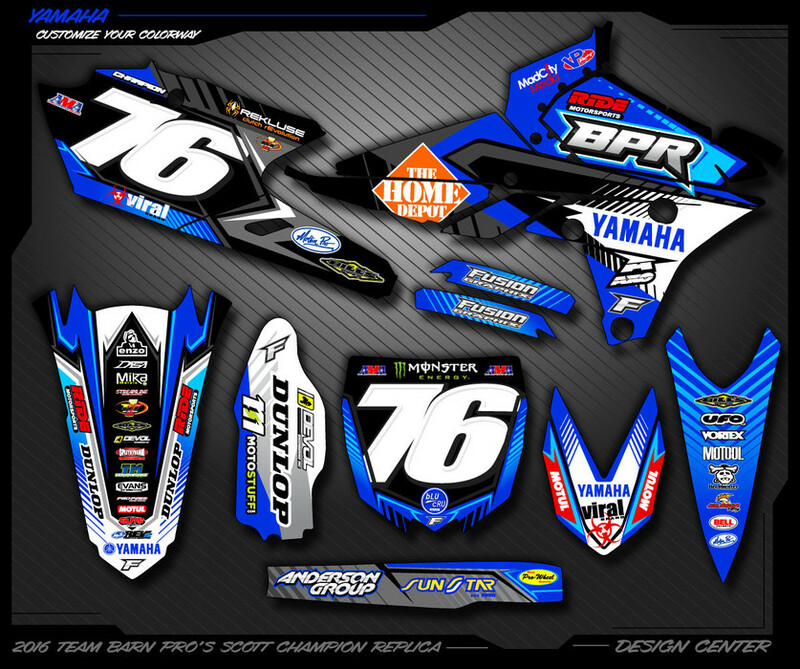 2016 Team Barn Pros Racing Yamaha Series. Kit includes full kit replica with matching sponsors and colors. Choose your own name, number and background colors to make it your own kit. Our material is made of heavy duty 21 mil thick, long lasting and high gloss material. It is very conformable to difficult curves. 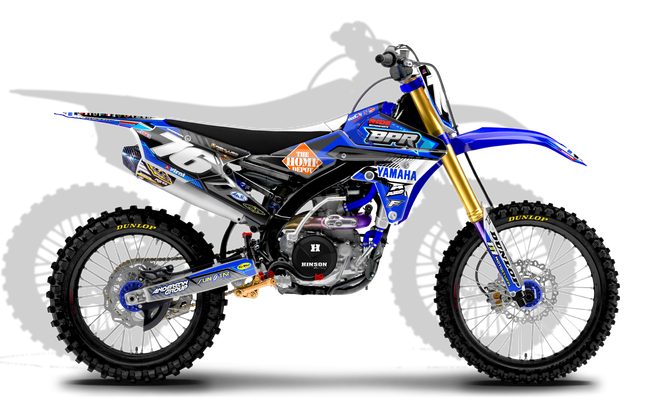 - Full Kits include: Shrouds, Front and Rear Fenders, Numberplates with Airbox, Fork Guards and Swingarms. Please allow 3-7 days for production after order approval. Shipping times are seperate then production. Please see below for a list of our additional services. Please select the options you would like and they will be added to your order.